Atticus is our courthouse facility dog. Canine Companions for Independence trained Atticus and and provided him to the Court at no charge. 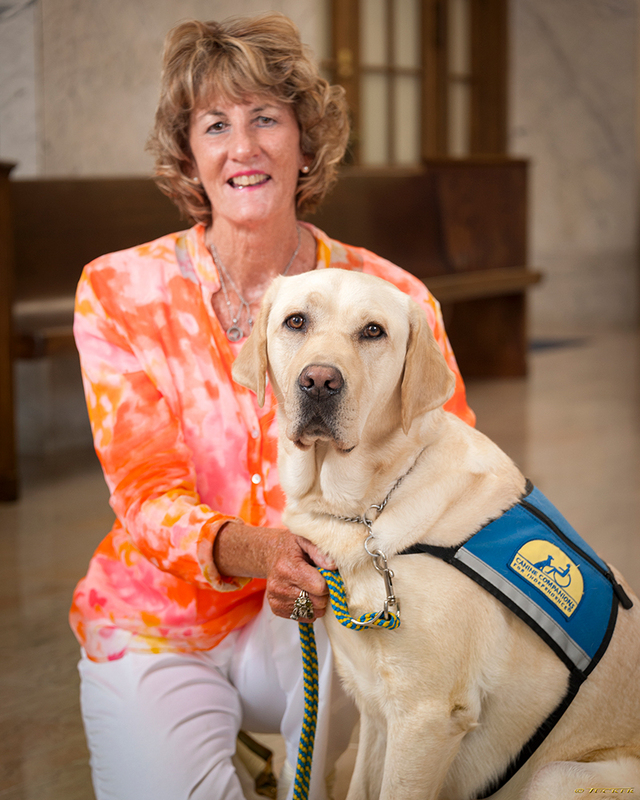 Atticus, along with his handler, help families by easing stress for adults and children alike during legal proceedings. Atticus works in the general, domestic relations, juvenile, and probate divisions of the Court. His duties include participating in adoptions and guardianships at probate court and visiting the Juvenile Detention Center and acting as a motivator. Atticus is involved in prosecutor interviews for young children and victims of all ages through Victims’ Assistance. He is also involved with in camera interviews of children in Domestic Relations Court. Atticus is often seen around the Courthouse and is a wonderful stress-reliever for the staff.